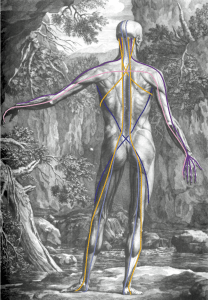 The Anatomy Trains lays out fascial and myofascial ‘anatomy of connection’ throughout the body, giving you the ability to map the pattern and shape the change – no matter what your manual therapy or movement modality. 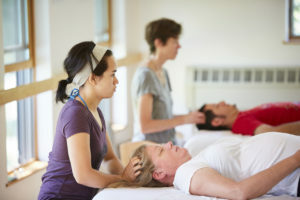 Anatomy Trains leads to practical new holistic strategies to improve stability, coordination, and resolve long-standing compensations in postural and movement patterns – whether you are a manual therapist, movement professional, or using self-myofascial release (SMR). 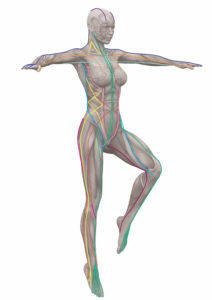 Developed by author and bodyworker Thomas Myers in the 1990’s, Anatomy Trains has been welcomed and included in the curriculum by diverse health professionals – physical therapists, personal trainers, massage therapists, athletes and coaches, Pilates and yoga teachers, chiropractors and osteopaths – anyone interested in effecting lasting changes in body structure and movement through updating their idea of how the body regulates its biomechanics. 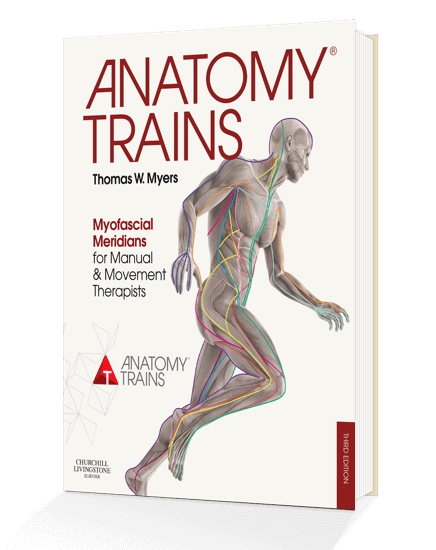 Anatomy Trains offers CEU-accredited short courses and longer certification trainings worldwide to convey the ideas, strategies, assessment tools, and techniques that grow out of the Anatomy Trains understanding. Understanding hamstrings in the context of the ‘Superficial Back Line’ as a whole gives insights into hamstring problems that you cannot get from considering these muscles alone. The ‘Spiral Line’ shows how to resolve rotational compensations and spinal twists in a way that no analysis of any single muscle can give. How do we take form in the first place? How do we maintain overall stability while creating seamless movement locally in our body? How do we get ‘stuck’? How do we mature out of those restrictions? These questions require a global understanding of the ‘neuromyofascial web’ that we call ‘Spatial Medicine’. How do we optimize the mechanical relationships in the body – either to repair injury or improve artistic or athletic performance? The overall aim is to improve our ‘KQ’ – our Kinesthetic Quotient, or physical intelligence.